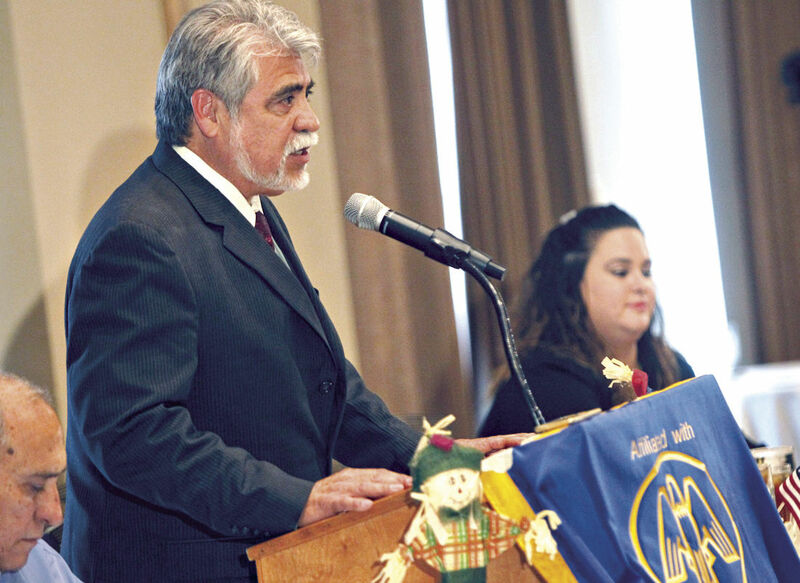 McALLEN — Only two of three Edinburg mayoral candidates attended a forum here Wednesday afternoon. 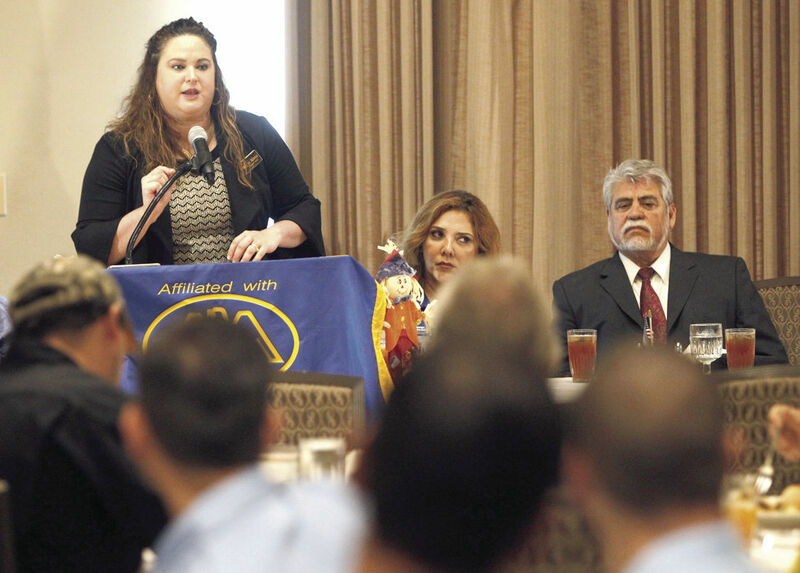 The Rio Grande Valley Builders Association hosted the event at the McAllen Country Club, where members heard from Edinburg Mayor Richard H. Garcia, who is running for his fourth term in office, and challenger Gina Alamia, who hopes to become the city’s first female mayor. Edinburg Council Member Richard Molina, who is also running for mayor, did not attend the event, citing concerns over the organization’s executive vice-president, Marcy Alamia. He alleged the event organizer was biased because of each other’s political ties. Marcy Alamia could not be reached for comment Wednesday evening. Still, the event offered candidates an opportunity to voice their platforms to potential voters and their extended social circles. About 100 people attended the forum, which doubled as a luncheon for members. Each candidate was given two minutes to introduce themselves and then answered about ten questions with topics ranging from economic development to state regulations to property taxes and a potential hospital district. When asked what they believed was the city’s biggest issue, Gina Alamia called for ethics reform, while Garcia pointed to the needs that stem from rapid growth. Moderator Christopher Julian, president of the McAllen Citizens League, pointed out that Edinburg has less building inspectors than McAllen and asked candidates how they would address it. Gina Alamia, who answered first, indicated officials should take a look at some of the top positions, which she alluded to be top heavy. Garcia, on the other hand, said the city pays employees a living wage and offers few impact fees for developers. The questioning then turned to a topic that has previously polarized politics in Hidalgo County: Proposition 1. Garcia said he was not happy with the way the previous referendum had been worded and indicated he would support the measure if it meant supporting the medical school. Gina Alamia, on the other hand, said she would “absolutely not” support it. The candidates then turned their attention to the Edinburg Economic Development Corporation, its private-public partnership projects and the idea of having a threshold on municipal spending that would otherwise trigger a referendum. Gina Alamia said each project should be scrutinized and checked for potential political favors. Garcia pointed that partnerships with private entities are quickly becoming the national trend and added that he would not support a threshold on government spending. In fact, Valley mayors from both sides of the aisle recently went to speak with Gov. Greg Abbott, who was trying to pass similar legislation during the last session, he said. The forum lasted about 30 minutes and was perhaps best summed up by Gina Alamia’s closing remarks. “Even though we have two educated people that are running for mayor, our ideas and our styles are very different,” she said.